More than 1 in 10 households in Alberta experience household food insecurity (a lack of money to buy enough healthy food). The Alberta Policy Coalition for Chronic Disease Prevention (APCCP) and its partners are working to address this. 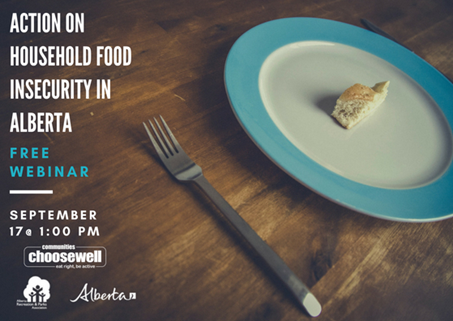 This free webinar will discuss the challenge of household food insecurity in Alberta and actions that communities can take to help support change.